I have lost 2 people to suicide. A friend of my daughters, and my father. My dad took his life (comment changed due to content). I found him. I have a daughter who is a self-injurer and bares the scars, both mentally and physically. I have march with NAMI, bought your shirts. The part that hurts, is that I can’t reach my daughter and fear everyday, that she will follow her friend. I fully support your campaign and will wear Orange, which is also the color for self-injury awareness. God bless you for not looking at those with “issues” like they, we, don’t matter. We all matter. And we are all worth finding out what we were made for. We are truly sorry for the loss of both your dad and your friend’s daughter. Losing someone you care for is difficult to process, but please know you are not alone. Your daughter is fortunate to have a mother who cares for her and her wellbeing. Continue to be there for her, continue to offer her a safe space to talk about her struggles, and know that she and you can reach out for help. Also, you can email us at info@twloha.com if you wish to share more of your story. We read and respond to every message we receive. You and your daughter are not alone. This campaign represents the power of being there for people and finding the courage to stay. We are grateful for your support, and hope that it will help you, your daughter, and those who are in need of help, continue to live. Continue to keep fighting. Even though you don’t think you are, please know that you are good enough. You always have been enough, and you will continue to be enough. We are glad this campaign speaks to you. It is for you. It is for those struggling. Please continue. Please keep going. Please stay. You can email us anytime at info@twloha.com. We read and respond to every message we receive. We also encourage you to seek out help. A good place to start is our Find Help page here: https://twloha.com/find-help/local-resources/ And if you are in need of immediate aid, please text TWLOHA to 741741 via Crisis Text Line. You will be connected to a trained counselor free of charge. Thank you for reaching out, Nishela. This is great! I hope you release images we can use as our Facebook profile picture and cover photo soon. A few months ago, I lost a childhood friend to addiction. This was a person who was friends with everyone, never judged, easygoing and someone with a ginormous heart. He’d struggled on and off with addiction until it finally got the best of him. He had his dark moments but always seemed to find a way to persevere. No one can know what his final thoughts were as he took his last “hit,” but the disease lead him to his own “demise,” something he had feared. He was a week shy of his 34th birthday. Last night, a friend from another lifetime posted a suicidal note on social media. I saw the outpouring responses of her friends and family. Even though I don’t know her well these days, I decided to post. Sometimes, friends mean well, but they don’t know what to say or they say something like, “I’m here for you!!! Girl, just call me!” and you don’t even see it — or you end up looking right through that because you’re so far gone in your darkness that it all seems meaningless or fake. Or, you get the one: “Stop it! Don’t talk like that. What’s wrong with you? You have so much to be grateful for in life. Don’t post $#*% like this. It’s messed up and brings the rest of us down.” And THAT’s not helpful. So, I posted on her timeline. I encourage people to “allow” themselves to feel and when you start to “feel to much,” find a way to reach out. Know that you’re not alone. I try to be as REAL as I can be in order to make a connection…… and, if I see fit, which I usually do, I’ll throw in the TWLOHA link…. as a recommendation and sort of launching point – in hopes that at the very least, this struggling person will NOT FEEL ALONE. . . . . I struggle with Bi Polar, PTSD and Anxiety with Agoraphobia. I am an addict. I’m an alcoholic and was heading down a very slippery slope until I fiiiiiiiiiiiiiiiiiiiiiiiiiinally got help and committed to it…. even when I did not want to speak with even my closest friends and family, for fear of “inconveniencing them with my problems” or just out of pure shame or not even facing the reality of my addiction problem, I was always able to turn to TWLOHA. Simply knowing the site is here and the constant, GENUINE encouragement via words: “Hope is Real. Help is Real. YOU are important. Your story is important.” – these words and seeing that I was NOT alone, helped drive me to pull myself out of the darkest rabbit holes, where I would too often find myself. Thank you to the twloha team and everyone who supports – I like to think we’re all on this team together. I work hard EVERY DAY to stay sober and to stay alive. I know if I start using again, it will most likely be the end of me. I know I used to “self medicate” for my utterly dark thoughts and deep feelings of worthlessness, depression, anxiety and suicide. It’s not to say we can “fix” things, but we CAN find ways “to cope” and to manage with the way our brains work (all differently, by the way.) It took a while for my doctors and I to find the proper medications —- which, KNOW your rights and do your research!!! I had to fight to stay on a particular med that helps level out my Bi Polar depression & mania AND I dealt with some major side effects from withdrawals of another med that made me feel extremely suicidal – not even two months ago. I could go on and on about my escapades over the years and what continues to be, but I do want to say that it is important that I credit myself for pushing through, persevering, continuing to REACH OUT for help, even if I feel embarrassed, ashamed, lost. I will call a friend. Call family. Call a hotline. There are people out there who are willing to help and listen – sometimes, it just takes a little bit of conversation and breathing over the phone with a stranger that will show you the starlight of hope at the top of the rabbit hole so you can begin to find your way out again. Thank YOU. Thank you for sharing your story and struggles with us. And thank you for encouraging others to seek out the help they need and deserve. We are so grateful for your presence. We’re glad you found the help you needed. We are inspired by your bravery and determination to continue. We are fortunate to have you fighting against the stigma surrounding mental illness. Please email us any time at info@twloha.com if you ever want to share more of your story or need someone to listen. We read and respond to every message we receive. Again, thank you. It would be nice if you made twitter and Facebook banners with this year posters available to show support and raise awareness. Thank you! We will definitely be sharing those very soon (on the blog)! Thank you so much for your interest and support. We are truly grateful. I would love to participate and fundraise! I lost my son to suicide a year ago. He was into Crossfit big time so at the time of his death his gym, Koda Crossfit of Norman, OK, held a celebration of his life and to spread the word about mental health and suicide prevention and raised funds for TWLOHA. This year “The 2nd Annual Celebration of Rawson” was held on August 12, 2017. Over a 100 crossfitters from all over the state participated in the event. Koda raised over $3,000. this year to again donate to TWLOHA. I miss my son terribly and nothing will ever take the pain away but I know by donating to this organization we will be making a difference in the lives of people who need the help. We are incredibly sorry for your loss. We wish Rawson would have stayed. We know that our words may fall flat, but know that we are truly heartbroken for you. The response from yourself and the gym Rawson went to is so encouraging. We are humbled and honored that you and those at Koda selected TWLOHA to donate to in celebration of Rawson’s life. Our mission to bring hope and help to those in need wouldn’t be possible without your help. You are allowing us to reach so many in need. If interested in sharing more of yours and Rawson’s stories, please feel free to email us at info@twloha.com. We would love to hear and know more. I just posted this on my FB page. I wish you had chapters out West. I am a friend of TWOLHA who isn`t in able to donate at this time. Thank you for reaching out to those who feel they have no purpose or hope, who do not feel valued or valuable. I am on your email list. What you do is absolutely amazing! Thank you. I ordered my pack and I can’t wait to get it in the mail so I can start spreading awareness right away! Will there be photos we can download for social media (i.e. facebook, twitter, etc.)? Thank you for purchasing the pack, supporting our WSPD campaign, and wanting to spread awareness about suicide prevention! This campaign wouldn’t be a success without your involvement, so thank you. 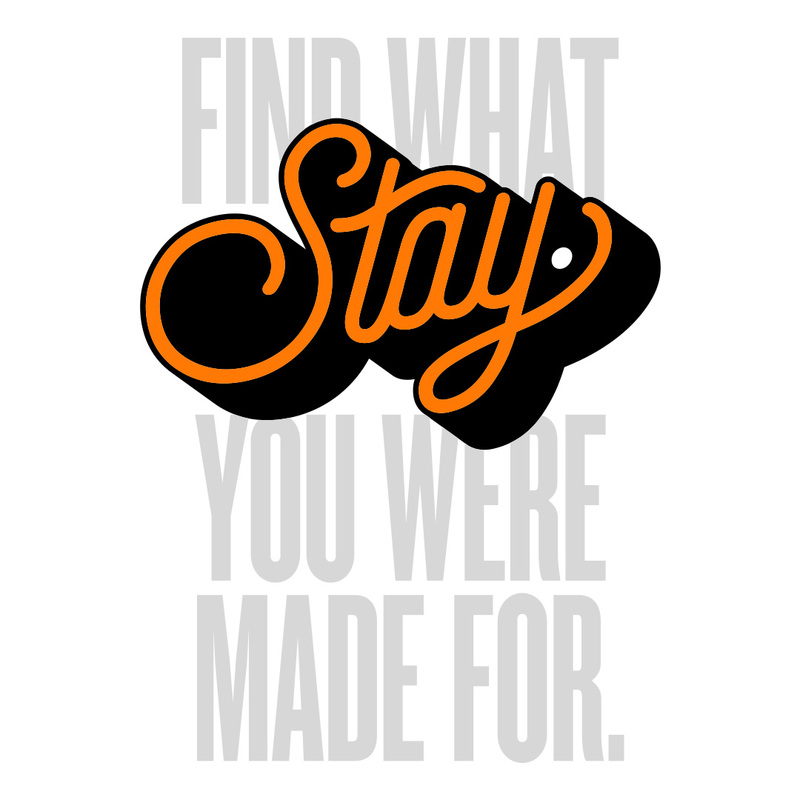 If you go to http://www.twloha.com/iwasmadefor, you will find a section titled “DOWNLOAD & SHARE,” there you will find the social images you’re looking for! We hope this helps. Great job! Just finish sort of watching the movie. Congratulation for such courage and passion. Hope is a huge word. This sounds like a great organization for people who are struggling and I stand behind it 100%. My heart is overjoyed with the purpose of this site. It is so needed. I attempted suicide 14 years ago. By Gods grace survived. I walked a long difficult road to recovery. But now I’m restored and want to empathize with ours and advocate for others. I want to share my story because it just might save someone’s life. I can say I’ve been to my lowest low and even there Gods hope prevailed. I’m glad I stayed. I do know what I’m made for. I’m made to share my story of hope, healing and second chances. I would love to join your team if that’s an open door. I look forward to hearing from you. And hopefully inspiring others to stay. They are worth it. Your strength and perspective is inspiring. We are grateful that your suicide attempt failed. We are glad you’re here. Please continue speaking up about your struggles, past and present. People will relate to you, people will find hope from your openness. If you are interested in sharing your story with us, please email info@twloha.com. We would love to learn more about you. 10% of people with Borderline Personality Disorder die from suicide. Many more attempt it. Please share this. I was made for raising awareness and fighting stigma of BPD and suicide. I know this comment is late as this blog post is from August but I am doing a project for my women’s studies class in university and this post is relevant. This post will continue to be relevant as we continue the conversations about the hard, messy parts of our stories. As we destigmatize mental health and bring awareness to suicide we need to talk about what are the structural issues at hand causing the statistics for marginalized communities to have higher suicide rates and lower mental health outcomes. Why is this happening, not just in America, but across our world? As a community member with many marginalized identities and the struggle with suicide part of my story this issue is close to my heart. I am passionate. I choose to stay, one day at a time. Thank you for all the work you and TWLOHA does. Keep talking friends. My mom died by suicide 2 months ago, near her 80´s. She cheated the prosecutor, the emergency doctor, her own cardiologist, the police and almost the whole family… (Removed comments due to content.) She suffered from heart failure and had severe physical limitations. Left no letter but I´m sure of what she did… She didn´t want to be hospitalized again or driven to a geriatric, and that was the next step for her. Only hope she regretted at the last moment and God had forgiven her. Regards from Argentina. We are so sorry for your loss. Losing someone, no matter how or why it happens, is difficult. We hope you find peace. Your mother, as well. Please know that you are not alone. If you are struggling, reach out for help (twloha.com/find-help). If you need to talk, you can email our team at info@twloha.com. We are here!